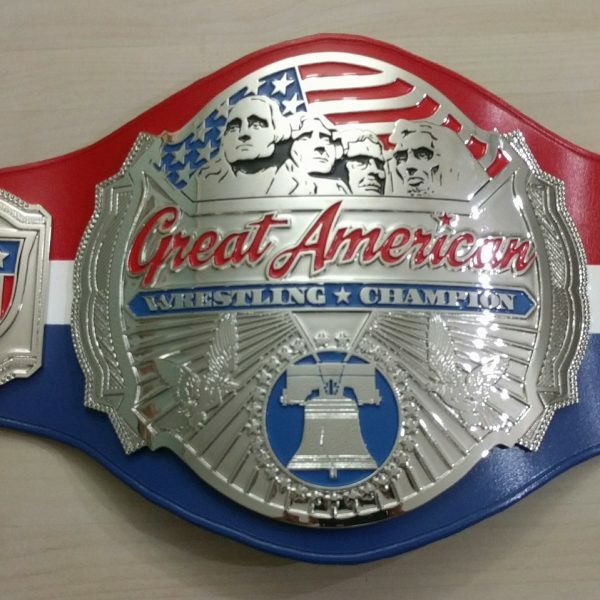 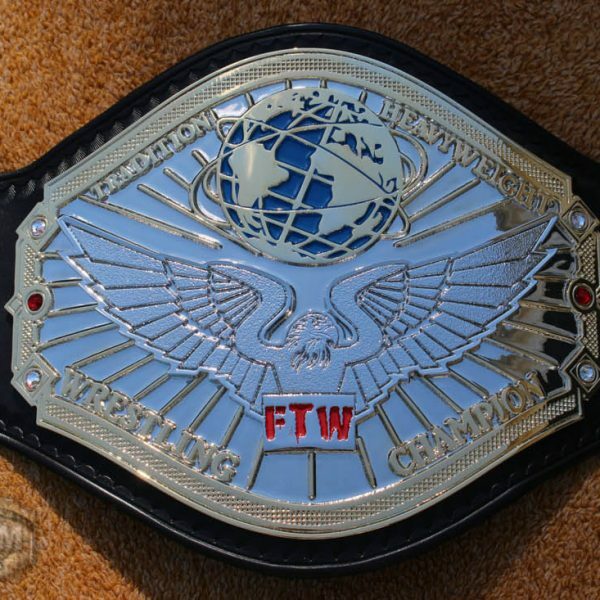 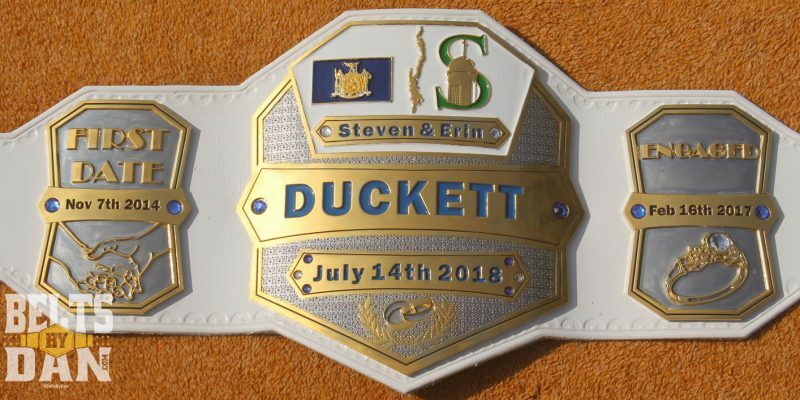 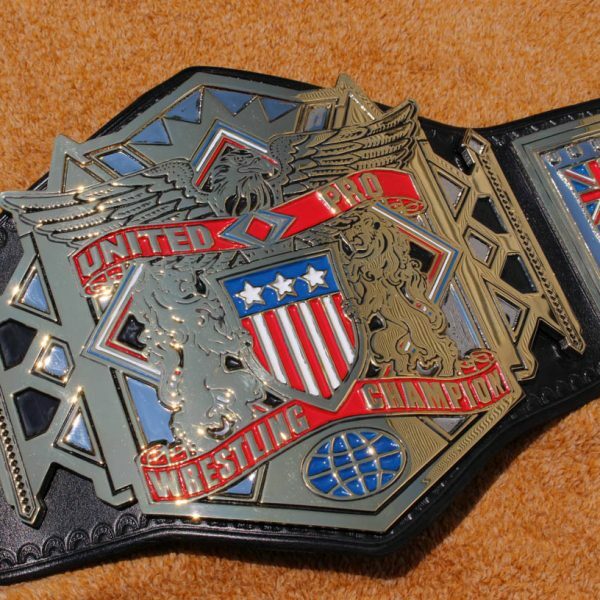 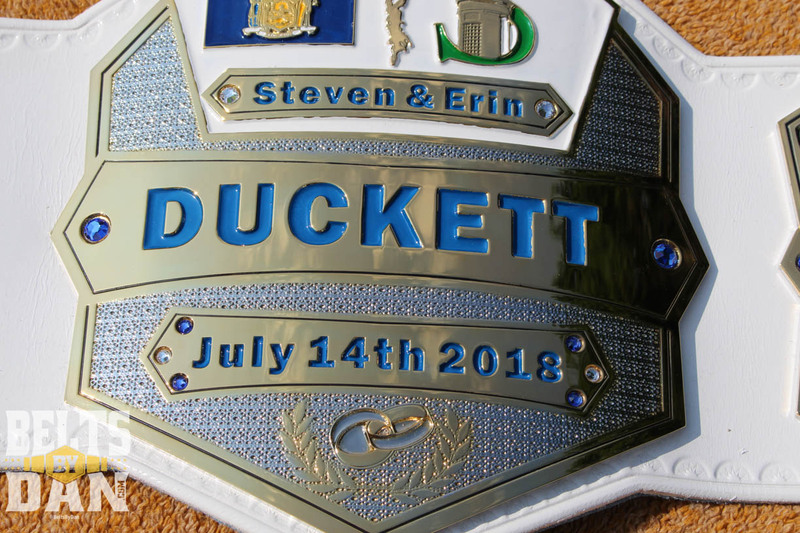 This championship belt was created to commemorate the wedding of Steven and Erin Duckett. 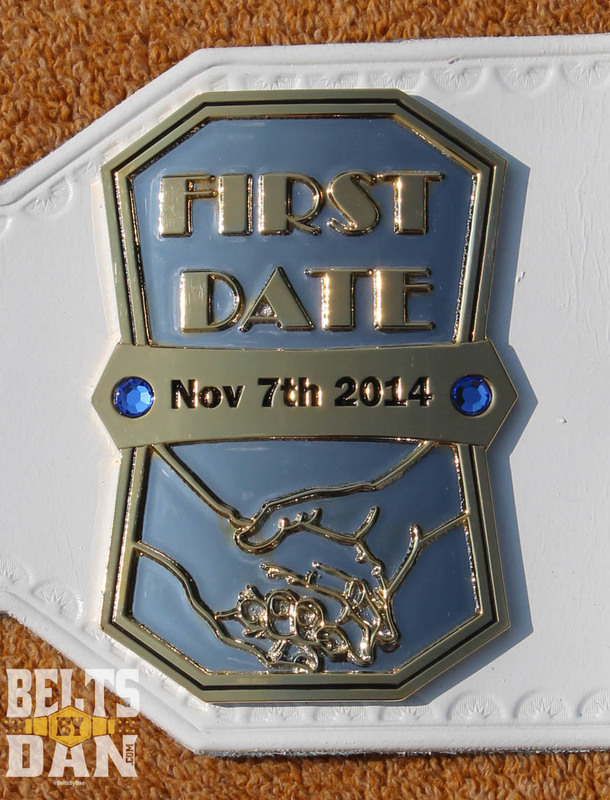 This 3 plate, dual plated belt, symbolizes the dates of their first date, engagement and wedding day. 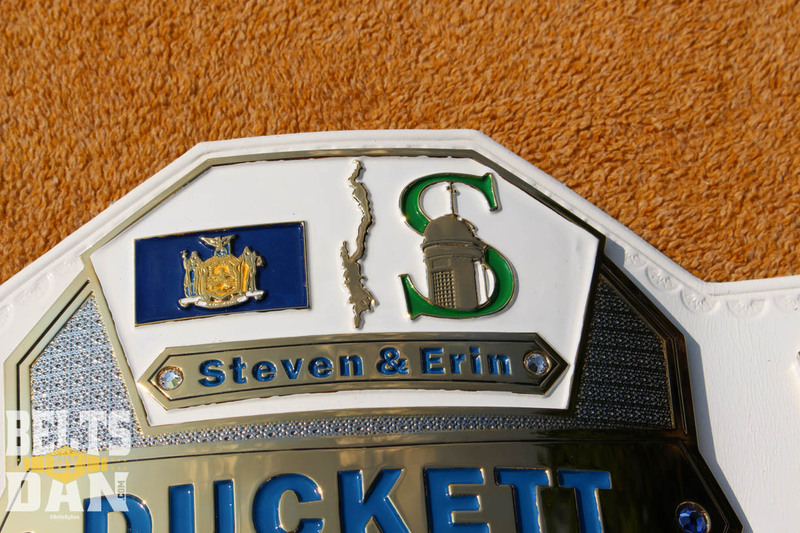 It features their wedding colors of blue and white as well as incorporating their school; Sienna College, the State of New York flag, and the outline of Lake George. 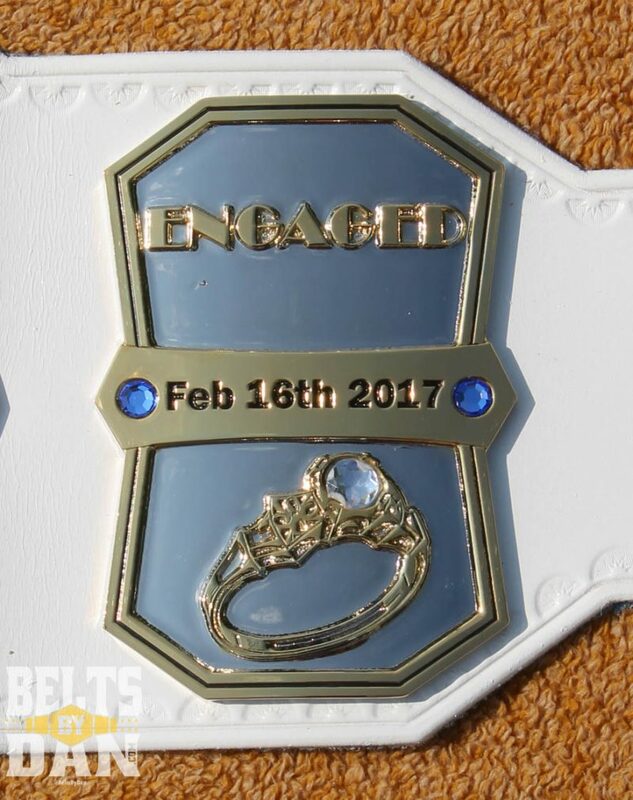 All of which are important symbols to the happy couple. 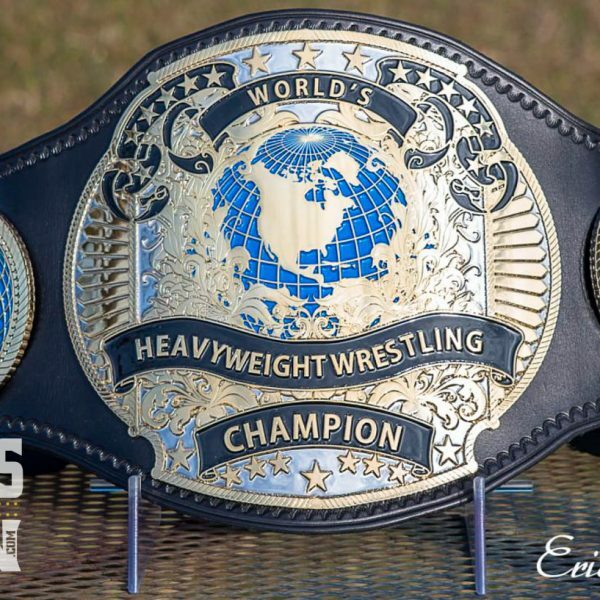 The leather is white with sun burst tooling around the plates and double basketweave in the snap boxes.